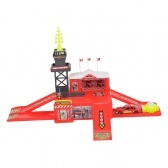 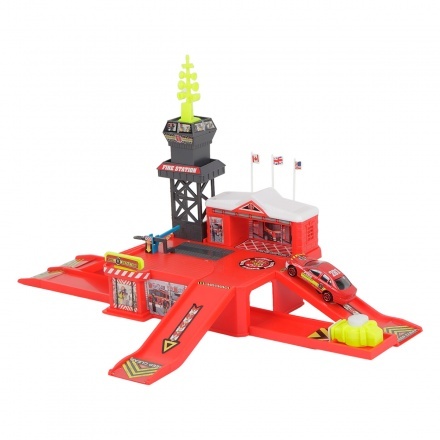 Elevate your boy's enjoyment with this vehicle play set. 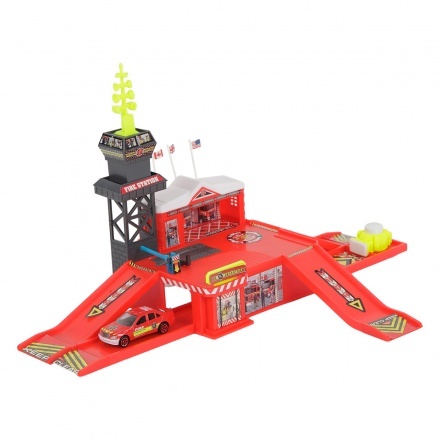 It features a stylish toy car with a launcher to give it a speedy start. 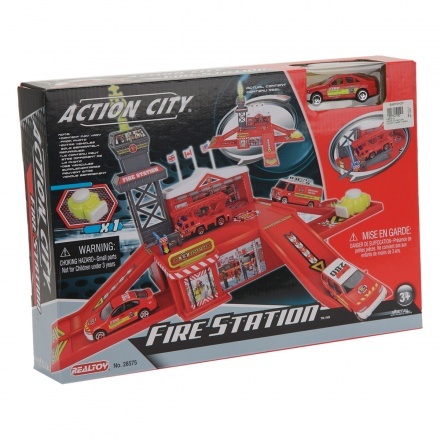 The decorative fire station track is its highlight.